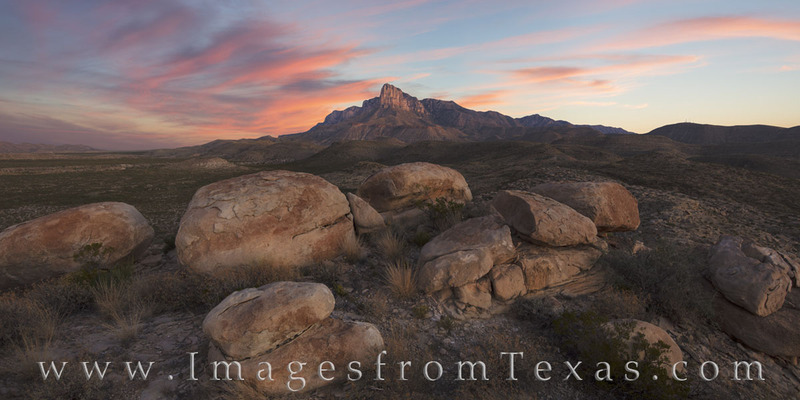 This panorama from west Texas shows the iconic El Capitan as it rises above the Chihuahuan Desert. As a waypoint to earlier travelers, this famous rock formation stands as one of the taller points in the Guadalupe Mountains. Just behind this structure is Guadalupe Peak, the tallest point in Texas.